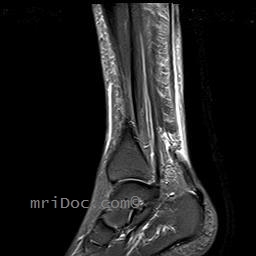 Achilles tendon is ruptured. 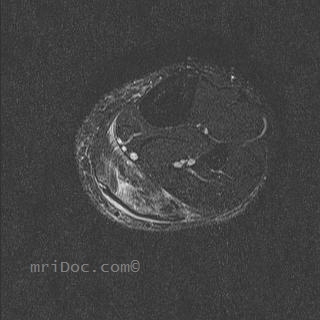 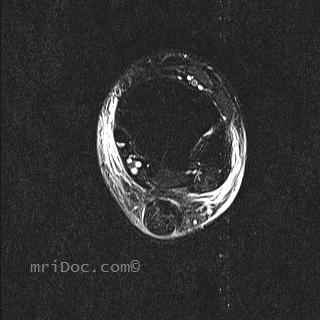 Axial images demonstrate edema in the achilles muscle and thickening of the tendon above the rupture site. 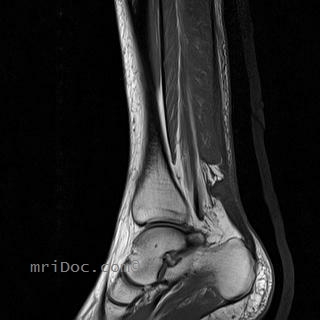 Diff Dx for thickened achilles tendon includes tendinosis.